Workshops will be held in our workshop at 293 George Street on Thursday’s from 5:30p.m. to 7:30pm. 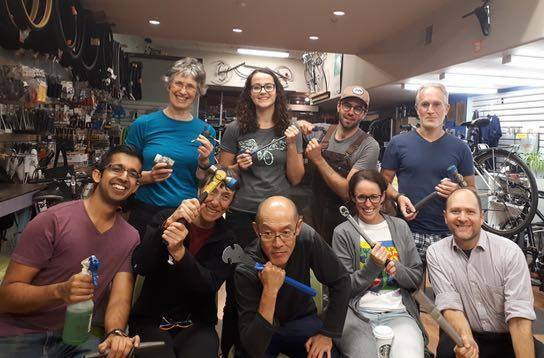 Example parts will be drawn from our collection of bikes and parts, workshop participants are invited to bring their own bicycles for reference but there may not be opportunity for all repairs on participant bikes.